Usually, when purchasing a golf bag, you have to make one choice right up front – will you buy a cart bag, or a carry bag? A cart bag, as the name would suggest, is most at home riding on the back of a golf cart, or at least being pushed on a three-wheel cart. They are generally heavier and larger than carry bags, with plenty of room for storage. Carry bags are designed to be light and comfortable, and usually include fold out legs to stand the bag up when you stop to hit a shot. Both are good options, and it is up to you to decide which one works best for your needs. 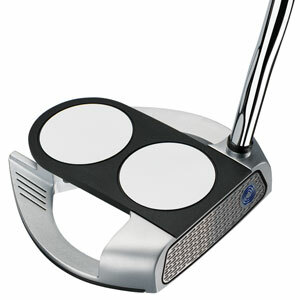 One of the popular features of many carry bags is dividers for each individual club. That means the top of the bag has fourteen slots that run down the length of the bag on the inside so your clubs don’t get tangled with one another. This makes staying organized easy, but it is a feature that doesn’t come included on most carry bags. That is where the Four 5 Stand Bag is different. This model from popular brand-name Sun Mountain is perfect for carrying your bag around the course, but it also includes full-length dividers to keep your sticks organized throughout the round. This bag is more than just dividers, however. It also includes many of the great features that have made Sun Mountain bags so popular with so many golfers. The bottom of the bag is designed to be cart-friendly, for instance, so it can work just fine on those days when you do decide to ride. It has six pockets for ample storage, and a dual strap system that makes is more comfortable to carry. Weighing in at only 5.5 pounds, this bag has an impressive list of features for a product that is designed to be so minimal and lightweight. When you purchase a Sun Mountain bag, you will know you are in good company with countless other golfers who have trusted this brand to carry their clubs and more. In addition to bags, Sun Mountain is also well-known for making other golf products such as push carts and rain gear. The Sun Mountain 2014 Four 5 Stand Bag is an easy choice for your next golf bag because it has properties of both a cart bag and a carry bag. 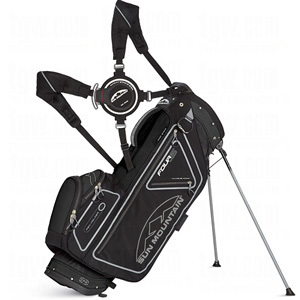 You get the lightweight comfort of the best carry bags, with the full-length divider convenience of a cart bag. For players who like to both walk and ride depending on the course and the conditions, this bag is worth careful consideration. When it comes to the production of new and trendy shoe styles for the golf market, it is hard to do much better than FootJoy. They are responsible for many of the shoes that you will see during a given day on the links, and their models run from affordable shoes for beginners to high-end pairs found on the feet of the best golfers in the world. The latest design from FootJoy to hit the market is known as the Hyperflex. The first thing you will notice about the design of these shoes is what is called the ‘FlexGrid 2.0’ technology which makes up the upper and is meant to conform to your foot all the way through your swing. The golf swing is an athletic motion, and stiff golf shoes can make it difficult to swing your best as you make your way around the course. Using technology like that found in the Hyperflex is a great way to be more comfortable on the course and hopefully perform better at the same time. Another design element that is import to note is the stabilized heel section which should help to keep your planted on the ground throughout the swing. Despite what many amateurs might think, good footwork is crucial to making a repeatable golf swing – and that all starts with keeping your feet firmly on the ground throughout the swinging motion. The Hyperflex shoes have been designed in a way that focuses on making that easier than ever. As you might expect from a quality FootJoy product, the Hyperflex model includes a 2-Year limited waterproof warranty to protect your purchase. Even if you don’t play golf in an area that is usually wet, having waterproof golf shoes is nice insurance on those damp mornings when the sun hasn’t quite yet dried the dew up off the course. And when you do venture out on the odd rainy day, you will be prepared to handle what the weather has to dish out. 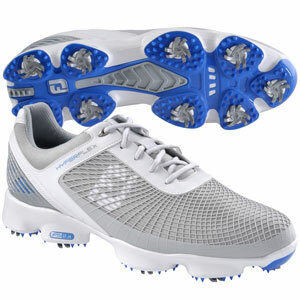 Getting a good pair of golf shoes is almost as important as getting the right driver or playing the right ball. Every piece of your equipment plays a vital role in putting together your overall game, and that includes your shoes. Considering FootJoy models during your shoe search is always a good idea, and the Hyperlink is the latest in a long line of great models from this trusted brand name. Before you make your next golf shoe purchase, give these new shoes a try and see if they feel just right to accompany you to the first tee.